Healthcare@: Sign the Petition - John McCain Change Your Vote! White List AMAC - how? Senator John McCain of Arizona, who had just had tricky brain surgery, risked his life a few weeks ago to attend a failed Senate vote on the repeal and replacement of Obamacare, but he voted no on the bill. 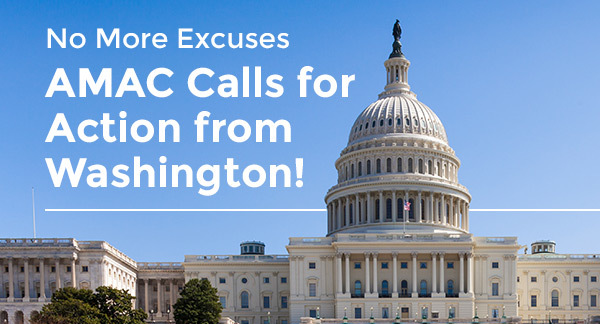 AMAC is now urging that Senator McCain keep his promise to repeal and replace Obamacare. America needs you now more than ever. If you want to rid the country of Obamacare, please sign the petition. Doing nothing is not an option. Soon, America's insurers will decide just how much more Americans will have to pay for health coverage next year. Speculation among the experts is rampant that without a Congressional solution, sky-high Obamacare premiums may increase by 20% or more to new, ludicrously excessive levels in 2018. AMAC needs you. America needs you. We must act before it's too late. John McCain - Change Your Vote! We, the following citizens, urge you to keep your word to repeal and replace Obamacare. We therefore request you to change your vote to support the progress in the Senate to rid us of Obamacare.